Punsavana sansakara is used for welcoming the great soul into this world and it is performed to assure that the infant is not miscarried. Different rituals should be performed before the baby begins to grow and move in the womb and for the concept of best child, Ayurveda explains about Punsava treatment. 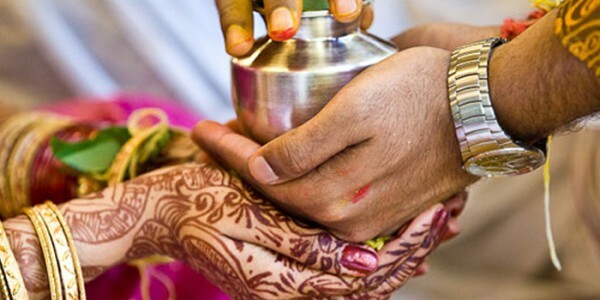 By following rituals of this sansarkara, one can get child of their choice and that is why whenever a couple thinks to go for next child, it is important for them to follow Ayurveda’s “PUNSAVAN” Concept. Vedas have rituals that are designed for making healthy and developed society and sixteen ‘Sanskars’ are also one of the most important rituals in Hindu tradition. “Punsavan” Sanskar is one of the Sanskar of those sixteen Sanskar described by ancient saints of India. Major feature of this sansakara is its ability to help you in getting better child or child as per your desire. Sanskaras play most important role in making a child civilized, cultured and polite in the same manner as the best characters of ancient Indian culture like Ram, Arjun, Krishna, Yudhisthir, Dhruv, Raghu, Prahlad were a great child. Ensuring accuracy in completion of Puja is very important and that’s why, we provide most fitting Puja services to our clients spread all across USA by including all the Vedic rituals with utmost precision. Puja Yagya offers most accommodating Vedic Hindu services in United States of America and we include experience of so many years that lets us complete all the sanakaras as per the procedures explained in Vedas. We carry a reliable Vedic legacy that makes us most reputed Puja Service that further comprise Pundits and Purohits who are Gurukul trained and know all about Vedas with utmost precision.